is board certified in family practice and osteopathic manipulative treatment with added certifications in addiction medicine and pain medicine. His specialty in is treating musculoskeletal disorders and he has quickly gained a reputation for making his patients feel comfortable in a usually stressful situation. 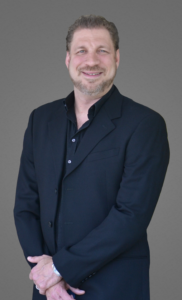 Dr. Frank is a graduate of the University of Michigan and received his medical degree at the Philadelphia College of Osteopathic Medicine in 2000. He completed his residency at Broward General Medical Center and Nova Southeastern University in 2003. After four years working in a group practice that specialized in physical and sports medicine, Dr. Frank opened The Non-Surgical Center for Physical & Sports Medicine in 2007. Fluent in Spanish, Dr. Frank has been involved in medical missions overseas and has provided services locally to the Migrant Farm Workers Association of America and the Department of Veterans Affairs in Palm Beach where he worked in the emergency department. Dr. Frank has also appeared on CNN providing H1N1 vaccines to the homeless of Broward County in association with the Homeless Voice. In his spare time, Dr. Frank is a Philadelphia sports enthusiast and enjoys traveling, fine dining, and a good glass of wine. graduated from Nova Southeastern University in 2005 with a Masters in Medical Science and a Bachelor’s of Science degree in Physician Assistant studies. She has worked in Internal Medicine in both a clinical and hospital setting. She also has a Bachelor’s of Science degree from Florida International University in Physical Therapy since 1996. Her experience spans many settings from out-patient sports therapy, in-patient orthopedics, wound care along with home care and management. 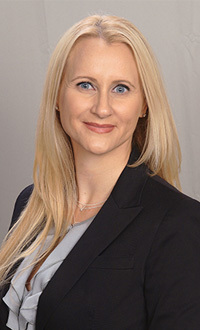 Susan started her allied health career with an Associate’s Degree of Arts from the University of Central Florida where she also received her education and training as an Athletic Trainer. She has worked with collegiate athletes in baseball, soccer, football and more. Susan loves to keep moving with an interest in exercise and clean living. When she is not running after her sons she is running towards the finish line at one of the marathons/triathlons in which she routinely participates. Susan’s addition to the The Non-Surgical Center for Physical & Sports Medicine will allow her to connect with the patients, and together with those patients work toward achieving improved mobility, less overall pain and greater overall health. Susan is fluent in both English and Spanish. At The Non-Surgical Center for Physical & Sports Medicine, our goal is to provide superior, non-surgical medical care to patients with musculoskeletal conditions. We employ a unique, multi-faceted, hands-on approach that places an emphasis on the entire person, not just one or two symptoms.